We are now taking bookings for Christmas parties. Whether it is for a work party, school parents get together or a group of friends – let us spoil you all! 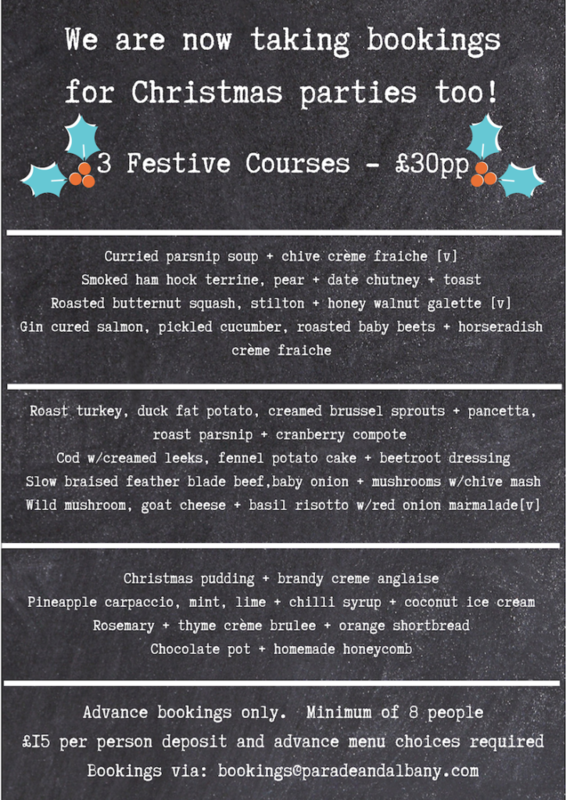 Our 3-course festive menu, all homemade and with lots of love there is something for everyone. £30 per person (for a minimum of 8 people). Advance booking and menu choices are required and there is a £15 per person deposit. If you would like any further info pop by to speak to one of the team or email [email protected].